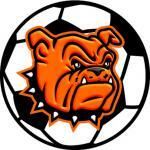 The excessive physicality that marked – and eventually marred – the first meeting between the Bulldog soccer team and Carlsbad was still there Tuesday in Cave Country. But this time around, Artesia was expecting it. Through every little push and jab, the boys in orange kept their composure and their minds on the game. And through one half of play, it looked as though the Eddy County rivals might be headed for another regulation deadlock. But the Cavemen were able to log a pair of goals in the second 40 minutes Tuesday to secure the 2-0 win, and the shorthanded ‘Dogs were forced to settle for a learning experience and an opportunity to grow stronger prior to the start of district play. The Artesia boys will have three more pre-district contests, all at home, beginning Thursday with Portales at 6 p.m. at the Mack Chase Athletic Complex. The Rams topped the ‘Dogs 3-0 Sept. 10 in Portales. “We’re looking forward to maybe closing out that series with a little bit of redemption for what the score line was last time, because that score didn’t really reflect the caliber of team that we are,” said Jowers. Following the Portales match, the Bulldogs will host Hatch Valley at 3 p.m. Tuesday, Sept. 27, and Ruidoso at 3 p.m. Saturday, Oct. 1, before heading to Lovington Oct. 4 for their District 4-AAAAA opener.